Attorney-client confidentiality, also called "attorney-client privilege," is one of the most important concepts behind practicing law in the United States. 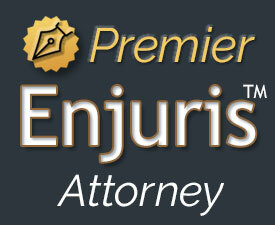 It is the foundation upon which rests the trust and assurance between an attorney and his or her client. Without the attorney-client privilege, it would be extremely difficult for an attorney to work with a client since said client may not feel comfortable revealing vital information about their circumstances or actions. Here, we'll take a look at the basics of this confidentiality and the ethics behind it. At its most basic level, attorney-client privilege is a rule that attorneys must follow in regards to what they find out about their client during representation. Attorneys cannot reveal privileged information to a third party without the client's knowing consent. This includes details about the client's actions, opinions, thoughts, etc. However, there are certain grounds upon which privilege can be broken or when it would not apply. An attorney may be forced to break privilege if commanded by a court order, if they suspect their client may commit an additional crime, or if concealing the information would bring financial or bodily harm to another person. An attorney may also break privilege if there is a dispute between them and the client, and the attorney must legally defend themselves from a charge of misconduct. In order to otherwise reveal privileged information, the attorney must obtain the direct consent of the client. A client can reasonably expect their conversations with an attorney to remain confidential so long as they take standard precautions. Information accidentally overheard by third parties is not privileged because the attorney did not provide the information firsthand; it was simply overheard in conversation with the client. For this reason, important case discussions between a client and attorney should always take place in-person and in a private setting. Many criminal defense attorneys work with their clients in jails or prisons, and the rules of confidentiality are the same in these settings. A client has the right to speak with their attorney in a private room where no guards, inmates, or other staff could overhear their conversation. Clients should avoid sharing case details in a public setting such as a common room or over the prison phone since these lines are often monitored. A client can intentionally or unintentionally break privilege and the attorney would not be responsible for this breach. If the client shares important information in the presence of a third party, over the internet or phone, or loud enough for those nearby to hear, they cannot have the expectation of privilege. However, an attorney would be reasonably expected to help their client avoid accidentally breaking privilege in such a situation. Attorney-client privilege has the possibility to create serious ethical conflicts, especially for criminal attorneys. For example, admission of guilt is covered under privilege, and whether or not an attorney advises their client to confess under privilege is often a personal decision. A confession can sometimes help an attorney's legal strategy, and many attorneys consider it an important fact to be aware of. Some attorneys, however, may struggle to properly defend a client they know is guilty. The attorney is then caught between their ethical responsibility to defend their client to the best of their ability and their personal feelings and morals regarding the crime in question. An attorney is always the one who judges whether or not a situation inclines them to break privilege, and it is often not an easy call to make. Even a legal break of privilege could ruin the relationship with the client and prevent any further productive work on a case. A client may also attempt to sue the attorney for the breach, even if it was legal, which can present a hassle the attorney would rather not deal with. Certain states may have their own statues that further define privileged information. The standard is that only information a client shares directly with the attorney is privileged. Certain states, such as Texas, greatly expand this to include any information the attorney learns about the client through the attorney-client relationship in general. This could include basically anything about a case revealed through investigation or from third parties. Such sweeping regulations can make working a case difficult and require the attorney to request permission from the client to share information. An attorney may attempt to side-step these regulations through their contracts with clients. A contract could contain a clause allowing the attorney to break privilege so long as it serves the client's benefit and is necessary for their defense or representation. A client should be fully aware if such a clause exists in the contract and exactly what it means. Navigating attorney-client confidentiality can be complicated for both attorneys and clients; however, it is one of the foundations of our legal system and allows it to run effectively. Both protecting it and defining it are important for lawyers and those whom they represent. If you have questions about attorney-client confidentiality, or are seeking expert legal defense, Houston's Neal Davis Law Firm is prepared to help. We understand the ins and outs of criminal defense and can help defend your rights. Contact us today to learn more.